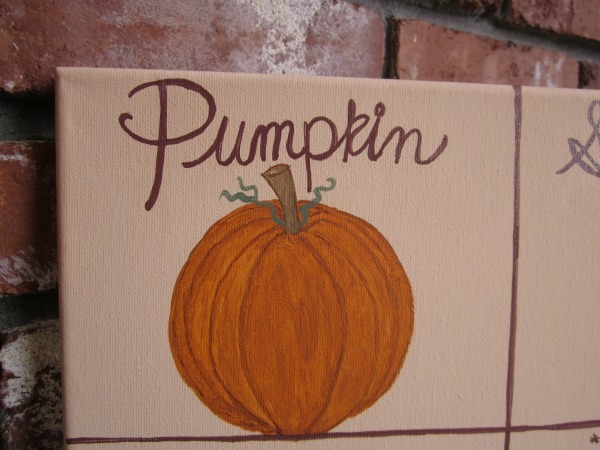 Feeling low today, so I'm reminding myself of something happy, a pumpkin spice latte! You may've seen this painting in my loving lately feature, but I wanted to show some close-ups today. Is that one of your paintings? I love it! Sorry you're down, hope your day brightens. Here's to hoping leaving you some love via blog hopping cheers you up. 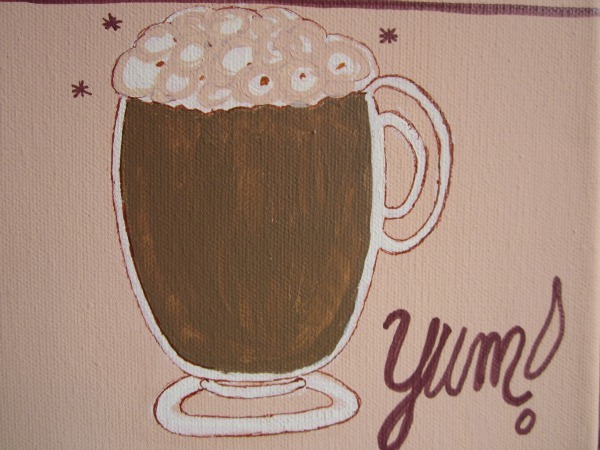 Love your latte love canvas! Happy PPF. wonderful kitchen/food art, so charming. 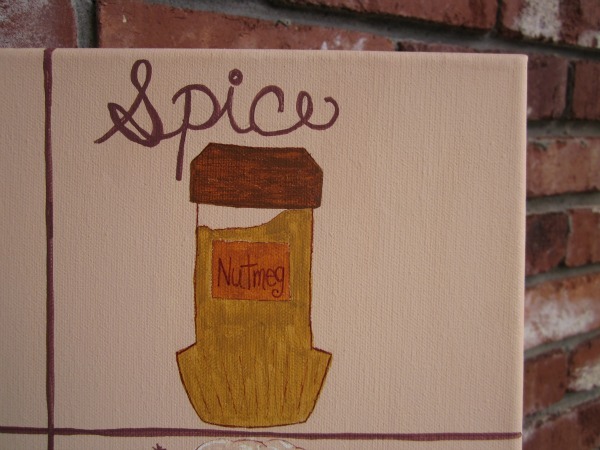 I've never tasted pumpkin spice latte but I'm sure it tastes divine. Wish it was something I could find here in Vienna. Agreed! I love seeing what new thing they come up with each autumn. Adorable series!! Great for the kitchen!! Happy pf!! Sending light and love! !Feel better soon!! Sorry your feeling low....I hope you feel better asap! Great painting! Looks yummy! HPPF! I'm doing better, Kristin, thank you. What a fun and delightful painting! I bet that latte did the trick. Sure made a cute fun painting! so well done. Really sweet and cute, great idea for a painting! 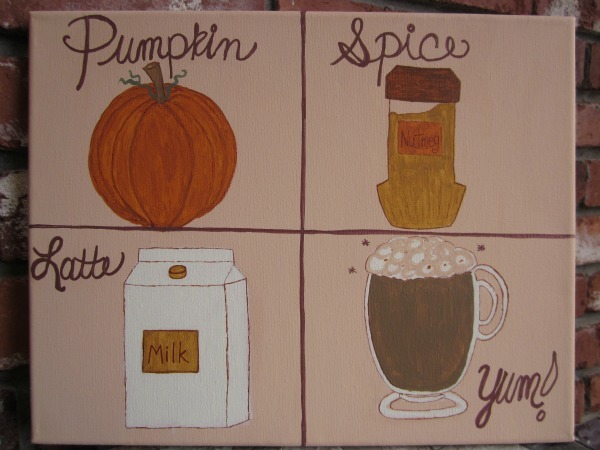 I'd love to have one (pumpkin latte) now! :) HPPF! 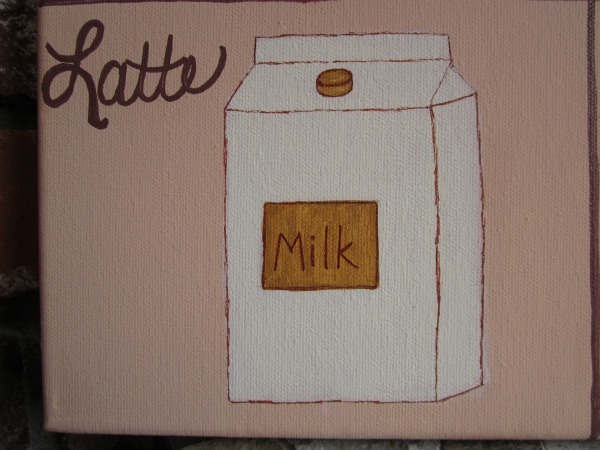 Great painting, now I feel a sudden urge to go get myself a latte. Thank you, and I agree! I look forward to them almost as much as leaves changing color...almost. Thank you, Paula, I am. The background color is one of my favorites! I can sense your longing for the pumpkin spice lattes.